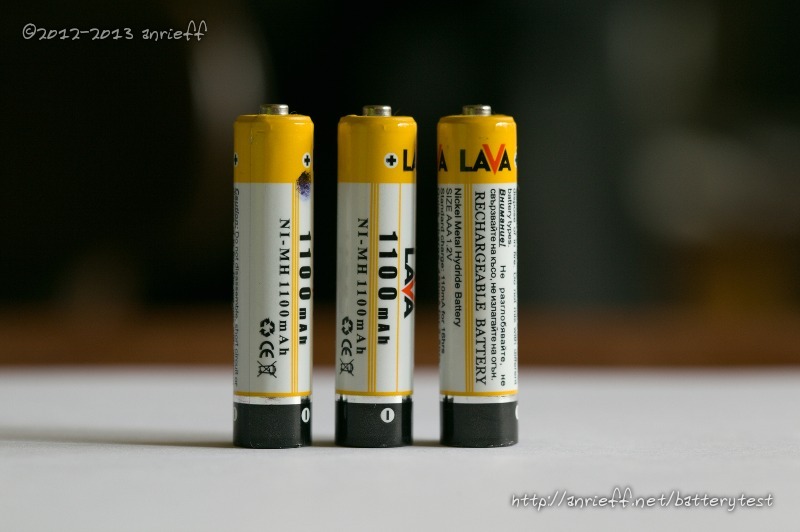 I want to thank a HardwareBG board member - marsa, who lended me these batteries for testing! They haven't seen a lot of use, their age is around 8-10 according to the guy. I cycled them a couple of times with the MAHA, showing healthy, similar capacities: 743, 706, 747. An important note here is that both discharges didn't end at the expected level: at around 3.45 V (1.15 V per cell) the pack showed high internal resistance, at which point my discharger ended the runs. 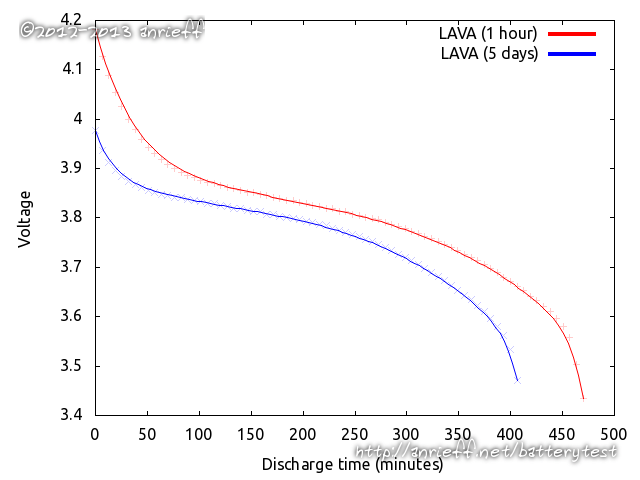 At low currents, the batteries could have had some more „juice“, but they're inadequate for more power-hungry devices. Moreover, marsa adds, that he recently purchased yet another cell from the same store. The new one is obviously from a different batch (different positive terminal), even though it has the same branding and external appearance; its characteristics are markedly worse.